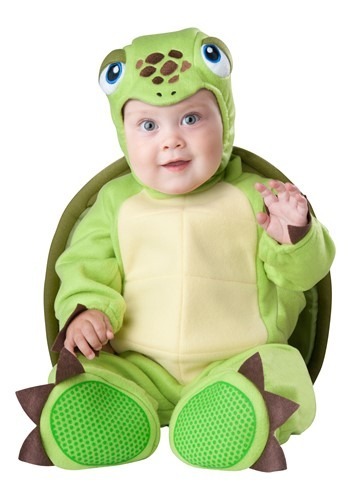 Tiny Turtle Infant Costume By: In Character for the 2015 Costume season. You're going to be really glad you didn't run this turtle over! When you stopped the car you found out it was a delightful infant. Now that he's firmly established in your family, you're happy to have both a child and a turtle in your life. Except for laundry day, because then he's just a kid. Get this cute costume for your child and we're sure you'll never lose him!